For our members being part of David Lloyd is about being part of a club that fits their life, where they can enjoy a breadth of quality facilities delivered with a genuine passion for service and an obsessive attention to detail. As the Member Experience Manager you will be responsible for the overall member experience, ensuring that our customer facing teams are well trained, rotas meet customer demand and service issues are dealt with proactively as well as on a reactive basis. You will also be accountable for member administration and driving member retention through usage and proactive support, and fixing things when they go wrong. You are the role model for all member facing service delivery with the support of the whole club team. Reporting to the General Manager, you will work with all Heads of Department to ensure service excellence is achieved every day, in every area. You will have exceptional customer service experience and be confident in engaging with our members. You will have great influencing skills and be able to work as part of a very successful team. 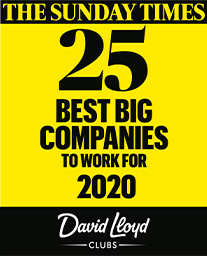 At David Lloyd we not only recognise performance and celebrate success, we also offer a fun and state-of-the-art environment to both work and play. We appreciate how effective a simple ‘thank you’ can be and we believe in creating a progressive culture that enables you to grow your career. So, what is it like to work for us? In one word - ‘FUN’! As a team member you will have access to a wide range of benefits including FREE Club memberships for you and your partner. This benefit means you can enjoy all that our Clubs in the UK and Europe have to offer in the company of your nearest and dearest. In addition to this you will also receive 6 friends and family discounted memberships to really treat your friends. Please click on the link and apply.